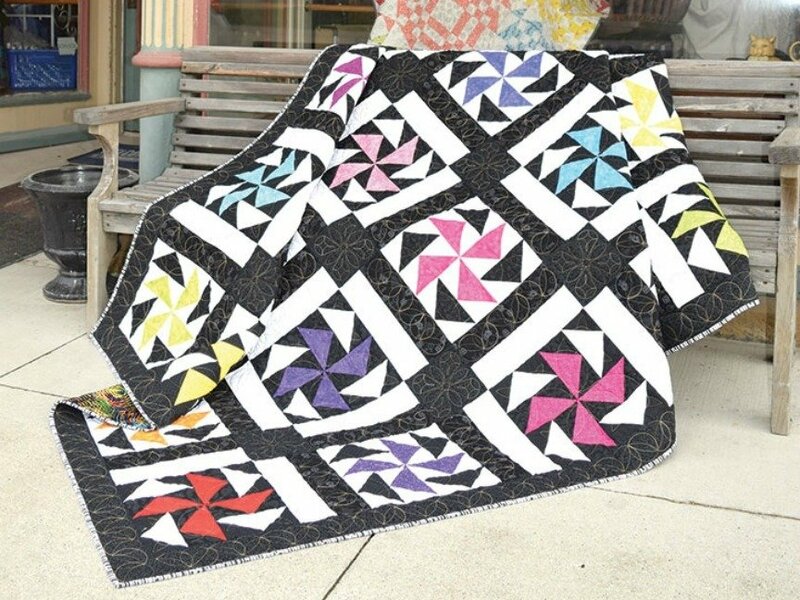 Black-and-white prints are offset by bright colored pinwheels in this striking quilt. Use the four-at-a-time flying geese units method to make these blocks easily with no waste and no bias edges. Looks equally impressive in contemporary or reproduction fabrics. 72" x 90" finished size.